Is your book free right now? Do you have a book that is always free? If you answered yes to either or both questions, you are in the right place. 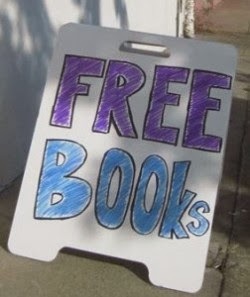 The purpose of this post is to list free books. Here's a sample template you can use to make the comment look even better than just plain text. Just copy and paste. Change the red text to match your book. To see what a comment like the above looks like see this test comment. The book isn't free so the last line is missing.